These smart light bulbs deliver substance and style—find the best one for you. We rated the best smart light bulbs based on price, energy savings, features, and compatibility with other home automation products. Whether you’re a home automation pro or just getting started, smart lighting is one of the best ways to add smarts—and security—to your home. 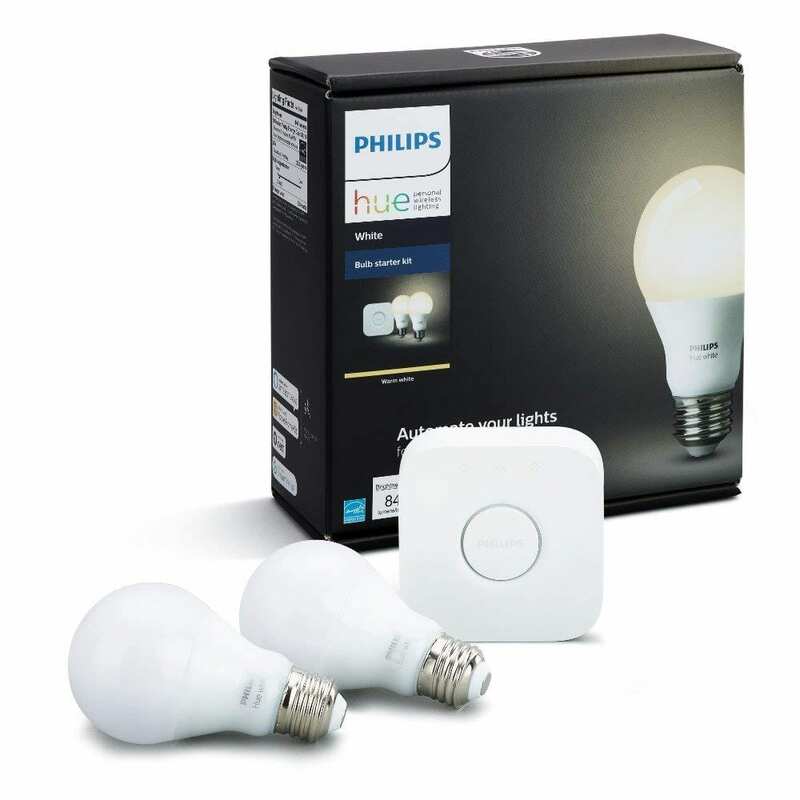 Philips Hue bulbs are the industry standard. These smart light bulbs fit standard fixtures, work with popular smart home products like Amazon Alexa and Nest, and last up to five years. Hue bulbs are going to cost you more than your average incandescent light bulb, but we think the longevity, convenience, and energy savings more than make up for the initial investment. 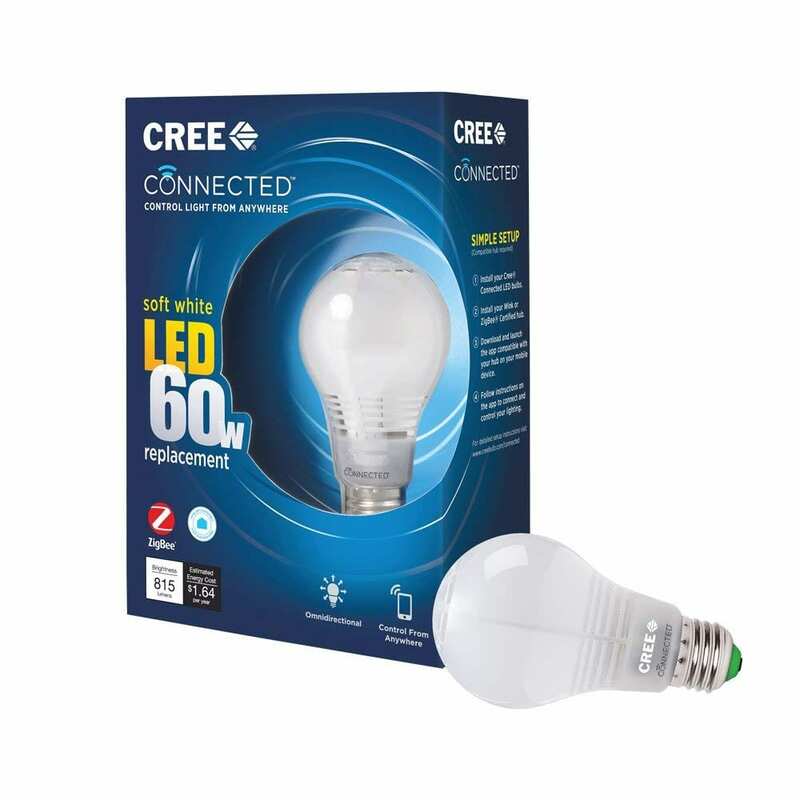 You can’t beat the Cree Connected smart light bulb for price or brightness. This is one of the brightest lights we found, and it doesn’t gouge your pocketbook. If you’re not sure that smart lighting is for you, the Cree smart bulb is an affordable way give it a test run. And best of all, you don’t need a special hub. Cree is compatible with any ZigBee-enabled hub out there. So if you have an Amazon Echo or Nest hub, you’re ready to go. Most smart light bulbs require you to purchase the bulbs and a hub or bridge to connect them to your Wi-Fi network. 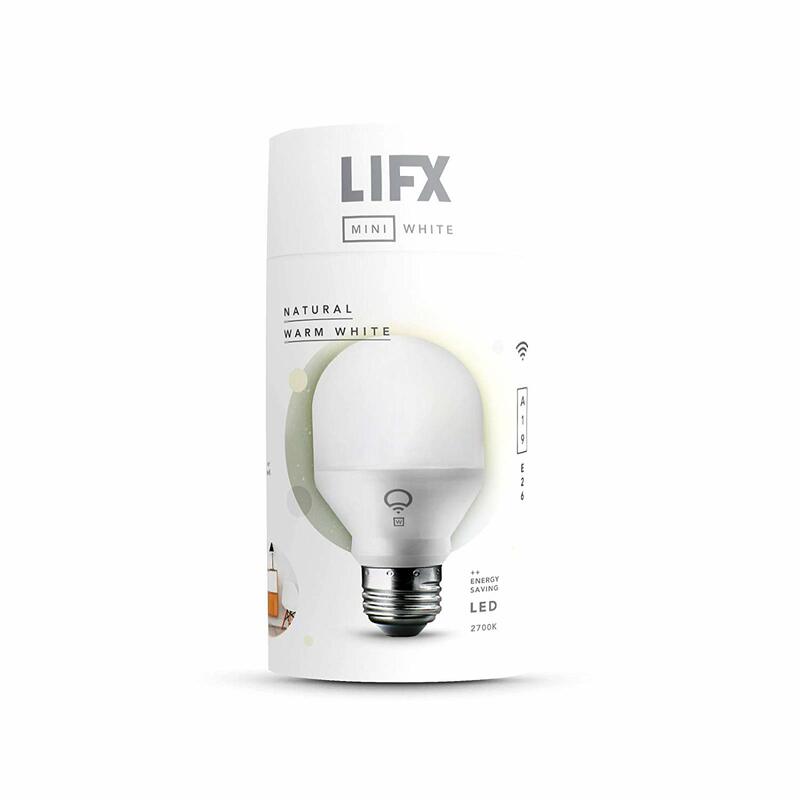 With the LIFX Mini White Wi-Fi Smart Bulb, all you need to do is buy the bulb, screw it into a lamp or other lighting fixture, and download the LIFX app. We like how simple and easy LIFX makes smart home lighting. If you don’t want to hassle with extra devices and connections, these smartbulbs are the way to go. 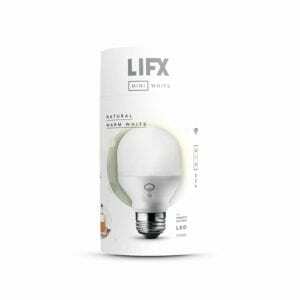 Add LIFX bulbs to ceiling fans that have separate controls for the fan and the light—no more mistakes, reaching, or frustration. Now all you have to control manually is the fan. 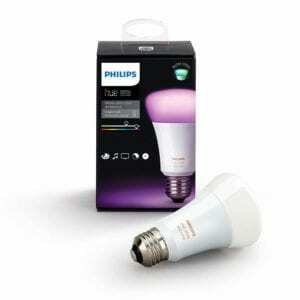 We already talked about how much we like the Philips Hue white bulbs, and this smartbulb delivers all the same great features but with a brilliant array of up to 16 million (yes, that’s MILLION!) color options. These bulbs really deliver the best of all worlds—fun light displays along with energy efficiency and security applications. Once again, you’ll pay a pretty penny for these smart light bulbs (and you need to add the Hue Bridge to access all features), but if you’re into mood lighting, we say go for it! Use Philip Hue’s pre-programmed light settings to relax, improve focus for studying, get energized, and more. If you’re more interested in playing with your smart lights than saving money or adding security to your home, then the Nanoleaf Aurora Rhythm Smarter Kit is your smart lighting match. 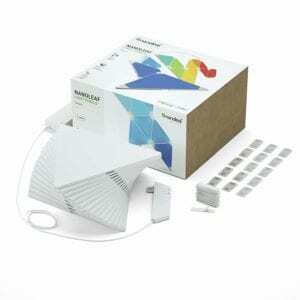 These fun tiles can be configured into numerous designs to turn any room into an artsy display of LED technological magic. Set the mood for a house party or a quiet night in, with just the touch of a button. How much should I spend on smart light bulbs? The easy answer is as much as you want to. But because most of us don’t have piles of money to burn, let’s look at the difference between more expensive smart light bulbs and cheaper ones. All smart lighting solutions are more costly than regular incandescent or LED bulbs, but smartbulbs deliver extra convenience, ambiance, and security. Philips Hue smartbulbs are the industry standard, and they aren’t cheap (the starter kit we recommend comes with two bulbs and the Philips Hue Hub for around $70). They do offer a good track record, though—and these bulbs should last about five years. If you want lights that can be controlled remotely and integrated with a security system, then we recommend ponying up the extra cash for Philips Hue bulbs. If all you want is extra convenience, then you’ll be happy with less expensive (and less feature-rich bulbs) like the Cree smart light bulb (starting around $15 per bulb). Why do I want 16 million color options? At first glance, it’s easy to wonder, “Why in the world would anyone want 16 million colors?” In fact, I asked that very question. After digging into this highly important topic, I came up with some reasons that 16 million colors may just make sense after all. In addition to being a whole lot of fun, Philips Hue’s color light bulbs cash in on scientific proof about how color can influence your mood.¹ If you want to use these smartbulbs to hack your mind and emotions, here’s a color guide to help you get started (but the Hue app already provides pre-set scenes to help you create the mood you’re looking for). Pump up with red. The vibrant shade is said to boost excitement and strength. Get creative with green. Set your bulbs to a greenish hue to get those creative juices flowing. Zen out with blue and purple. These colors invoke calm, peaceful, spiritual feelings. Don’t read to yellow. This happy color makes your eyes tired, so skip it when you curl up with a book. Warm up with brown. The color of chocolate evokes feelings of warmth, security, and comfort. What are the benefits of voice controlled smartbulbs? Voice control assistants like Amazon Alexa are the new Clapper. Instead of clapping your lamp on, now you can tell it what to do. Not only is this fun and convenient, but for people with physical limitations or those recovering from illness or injury, voice control can actually improve quality of life. What is a hub and why do I need one for smart light bulbs? One of the caveats of smartbulbs is that to make many of them work, you have to do more than simply screw in the bulb. And you often have to buy extra equipment, like a hub. A hub, or bridge, helps the smartbulb connect to the internet. That connection lets you control the smartbulb with a mobile app. It also allows the smartbulb to “talk” to other smart devices, which lets you set up different routines for different scenarios. For example, if you have a doorbell camera, the camera can trigger the porch light when motion is detected. Not all smartbulbs require a hub, and some are compatible with hubs you may already use with other smart products. Will smart light bulbs really save me money? The US Department of Energy recommends using LED light bulbs that work with timers and dimmers to help save energy and money.² Because smart light bulbs are dimmable and can be controlled either remotely or with schedules, they fit the DOE’s prescription. Plus, most smart light bulbs are designed to last between five and fifteen years, which means you’ll spend less money replacing burned out bulbs. To find the best smart light bulbs on the market, we read hundreds of customer reviews, dug into industry standards and research, scoured products’ specs and reviews, and did some hands-on testing of our own. Learn more about how we rate products on our Rankings and Reviews page. What do you think of our picks for best smart bulbs? 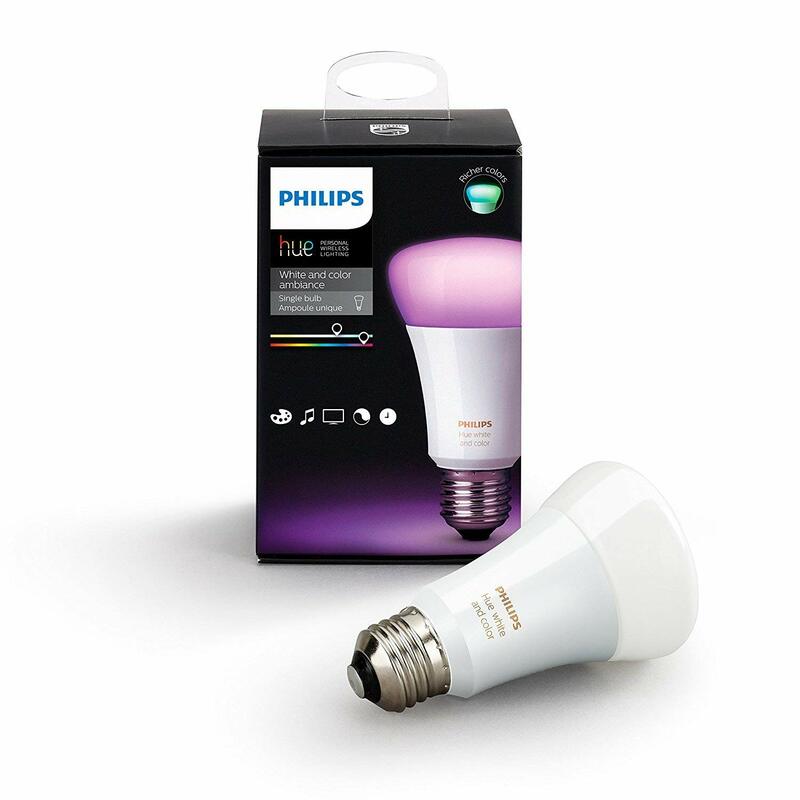 Do you think the Philips Hue deserves to be the Best Overall?